Back & side : African wenge. 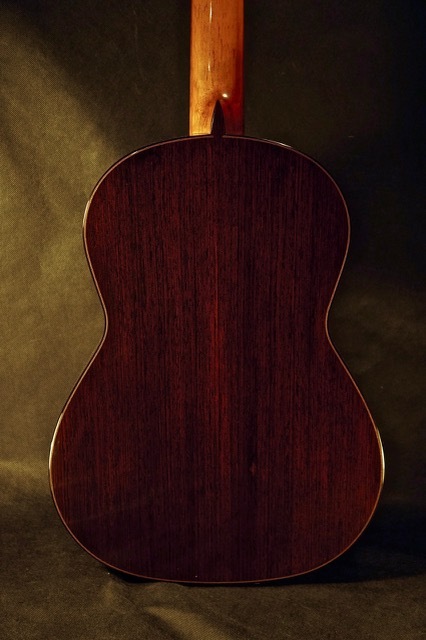 Double back & side construction with African padauk as the inner layer. 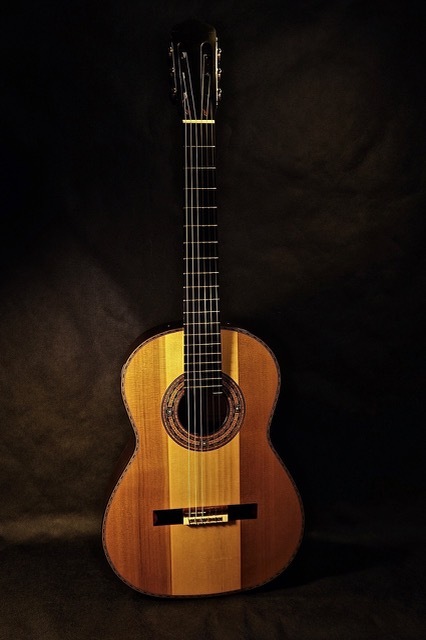 Top : spruce – cedar. 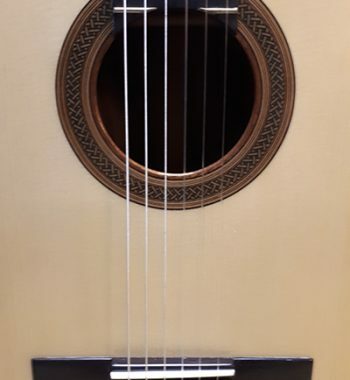 With traditional 4 fan brace construction in sitka spruce. 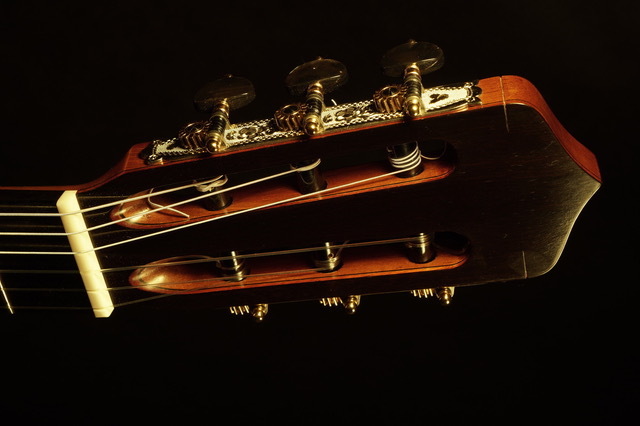 Tuning machine : Rodgers special set. Sterling silver with custom engraving, 24k gold plated ball pips, and black MOP button. Scale : 654mm. 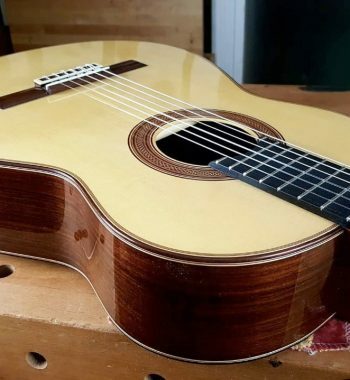 20 fret on an Madagascar ebony fingerboard. This is Andrea Tacchi’s flagship model, the “Coclea Thucea”. It is a fusing together of two different design ideas that were developed independently. 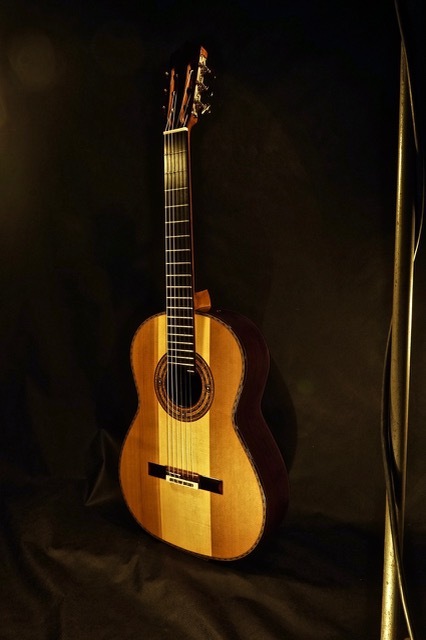 The first idea was born in 1989, when Tacchi publicly unveiled his “Coclea” model – named after the Latin word for the part of the inner ear that transforms sound vibrations into the psychological sensations of volume, timbre, and tone. 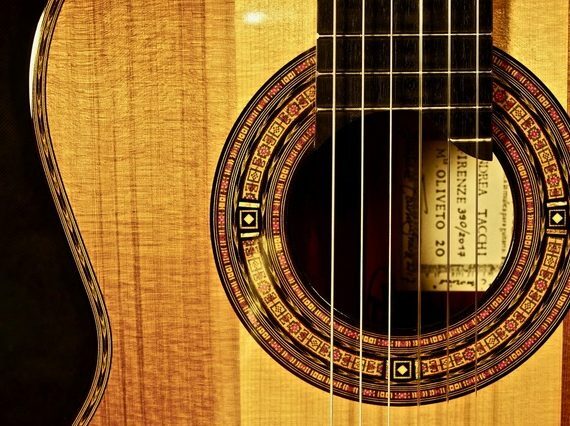 It is based on geometric and mathematical concepts that Tacchi discovered in researching old stringed instruments starting with S. F. Sacconi’s book “The Secrets of Stradivari” where Sacconi made sketches of violins and cellos that described the rules of dimensions and proportions that most influenced acoustic properties. 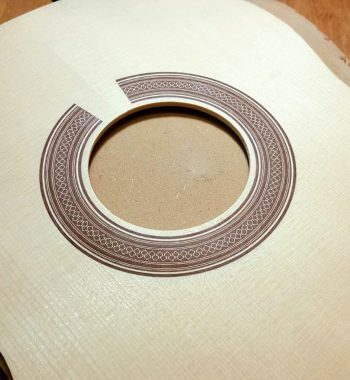 Further, Tacchi explored the relationships found in the careful combining of circles and spheres to generate his plantilla (outline shape of the guitar) as well as the side-view shape with its unique back and soundboard doming. 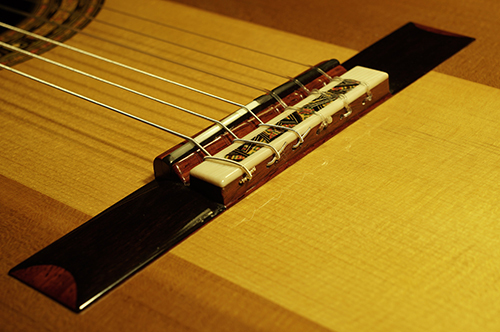 The second idea (the “Thucea” part of the story) came as a result of Tacchi having evaluated many original Torres guitars and noticing Torres’ use of asymmetrical soundboards – center seam locations and number of pieces of wood used by Torres for his tops seems to have been done to ensure that the stiffest pieces of woods were normally found under the bridge area. This realization led Tacchi to develop a three-piece top made with two pieces of western red cedar at the extremities and a central piece of European spruce in the middle, named “Thucea” from the union of the Latin words “Thuja Plicata” (cedar) and “Picea Excelsa” (spruce). Tacchi’s idea was to work with woods of different densities (as Torres had done) to maximize the efficiency of sound transmission across the various sections of his soundboards. 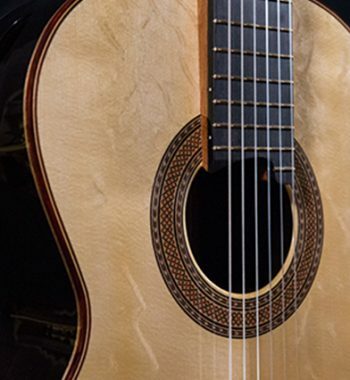 The most impressive and unexpected thing about this guitar is the tremendous power and crispy sound across all range. 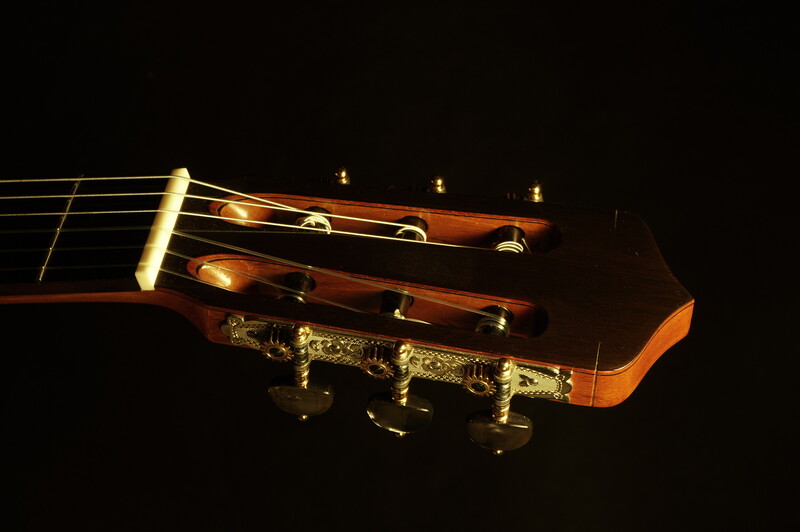 It is extremely powerful, even more powerful than most lattice or double top guitars i’ve ever tried so far. 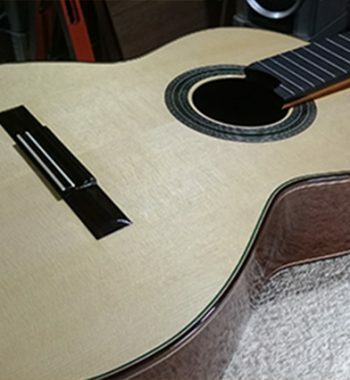 The enormous power makes this guitar as an ideal concert instrument that can fill any large hall / auditorium with easy. 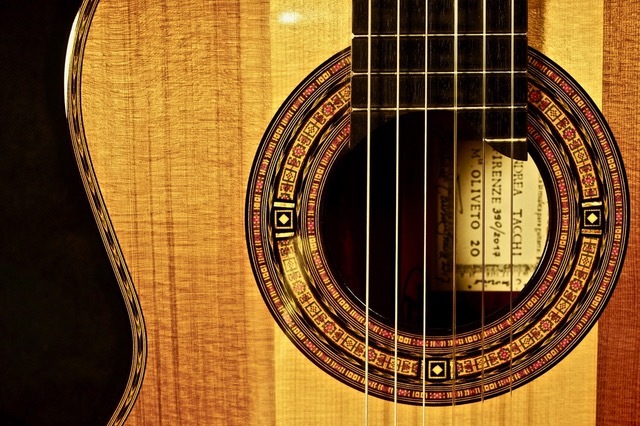 The sound character is crisp / bright and brilliant, like an old well played guitar. 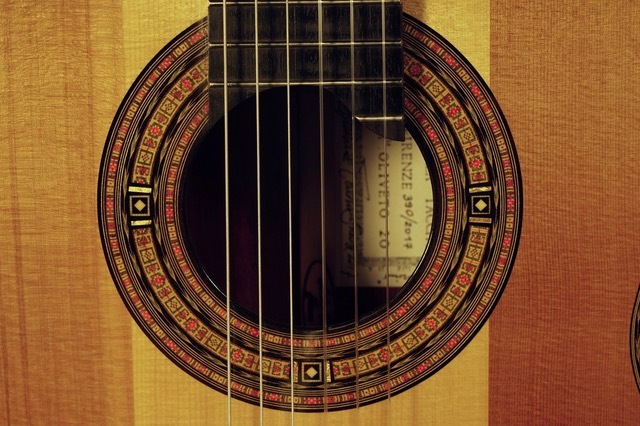 A combination of spruce and cedar gives somekind of unique sound, the initial attack is bright and crisp like spruce, but the overtones is warm and dark like cedar guitar. The range of color between tasto and ponticello are also wide and colorful. The action is easy with only 2.8mm and 3.7mm. 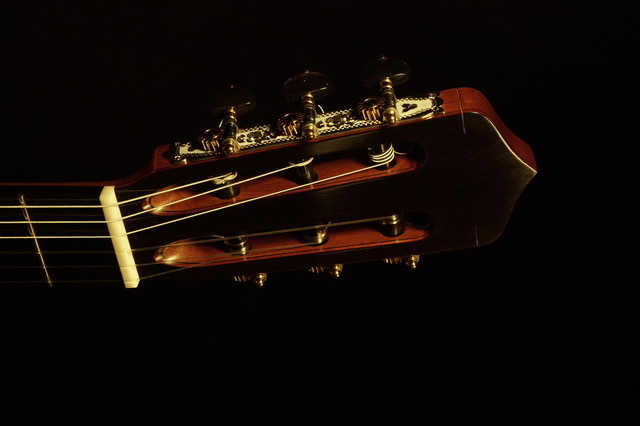 Andrea put 3 super stiff carbon fibre rods inside the neck so he can achieve low action with minimum buzz. Overall, this is a worldclass concert instrument. 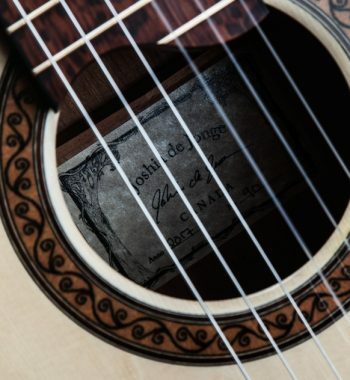 The high quality of materials, beautiful craftmanship, easy playability, and – most important – amazing sound.